Record producer Chris Blackwell, the founder of Island Records, is probably best known for discovering Bob Marley and introducing the world to reggae music. But the Rock and Roll Hall of Fame inductee also achieved prominence in the hospitality business as the owner of Island Outpost, a small collection of luxury hotels and villas in Jamaica. 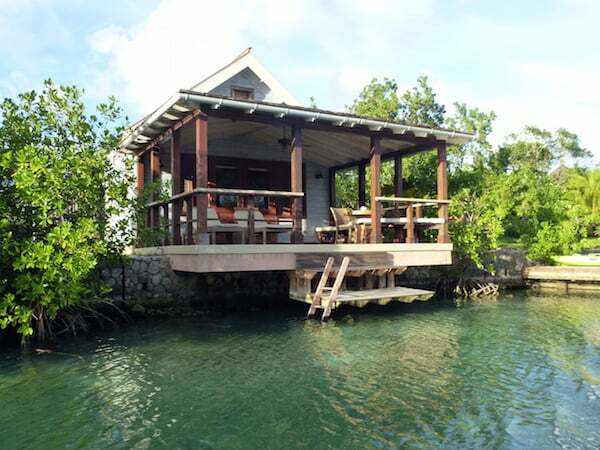 One of a growing number of environmentally conscious hoteliers, Blackwell recently instituted a new eco-initiative at GoldenEye, his 22-unit property on the northern coast of Jamaica. Guests who refrain from using air conditioning in their beachfront and lagoon cottages get $25 per night deducted from their bill upon checking out. This modest gesture pales compared to more ambitious efforts Blackwell has undertaken over the past two decades to help locals and tourists visiting this Caribbean island reduce the impact of their environmental footprint. To promote sustainable farming practices, Blackwell created Pantrepant, a 2500-acre farm on the west side of the island. His organic farm sources more than 80 percent of the produce consumed at GoldenEye and two other Island Outpost properties, Strawberry Hill and The Caves. In Oracabessa, the small town where GoldenEye is located, the Oracabessa Foundation he created partners with local groups to increase the density of marine life by protecting habitats and increasing the coral cover. In the bay adjacent to the property, guests can snorkel above the reef (or see it on glass-bottom boat ride). GoldenEye donates $1 per booked room per night to the Foundation. Guests with deep pockets can follow in the footsteps of Willie Nelson and Johnny Depp by planting a tree on the grounds in their name in return for a $1000 contribution to the Foundation. GoldenEye is no stranger to fame. Before it opened to the public, author Ian Fleming came here every year from January through March, producing one of his James Bond adventure novels in each of 14 successive years. His villa is available for rental. The resort is located 20 minutes from Ocho Rios. Rates start at $620 per night, double occupancy.